After church in the evening, we decided to head to Sun BBQ for dinner. It was a perfect night for Korean BBQ as it was cold. The reason why we decided to go to Sun BBQ for dinner was from a recommendation made by one of dad’s friend. 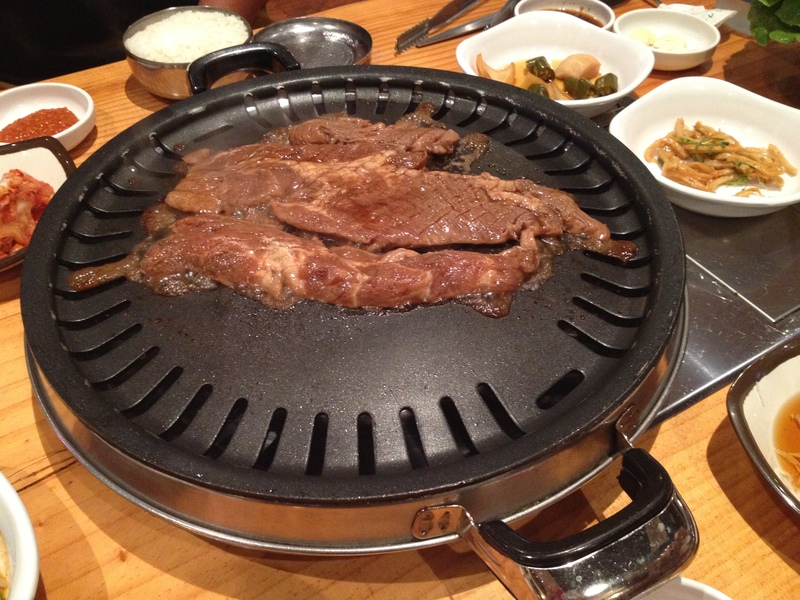 With music videos playing the latest Kpop hits, it definitely has set the scene for a Korean BBQ dinner. What I found interesting about Sun BBQ was the “metal-can lookalike” sort of seats. 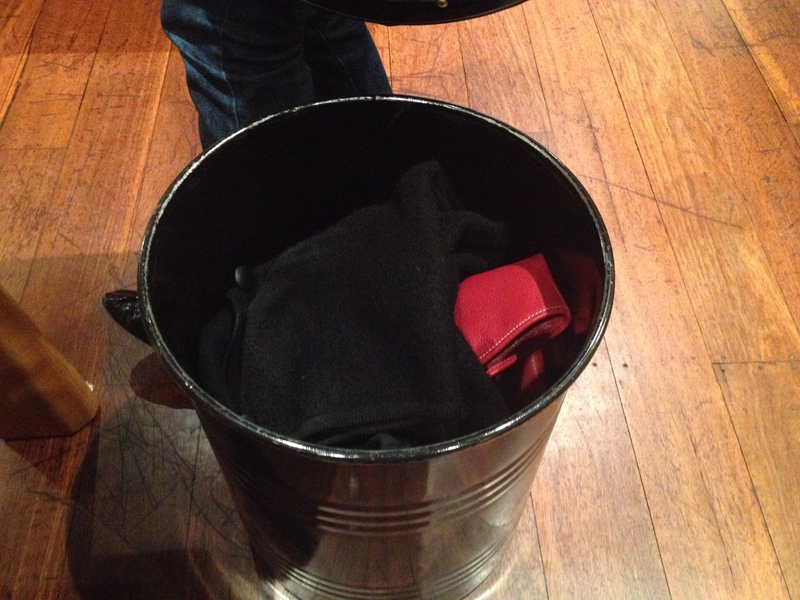 As I was looking around for a place to put my handbag and jacket, I did not realise that you could open up the lid of the seat and store your bag or jacket in there so you don’t have to sit on anything or have anything on your lap while you eat. How innovative is that! The waitperson that we had was very friendly (and good looking!) and recommended some of the dishes for us to order. 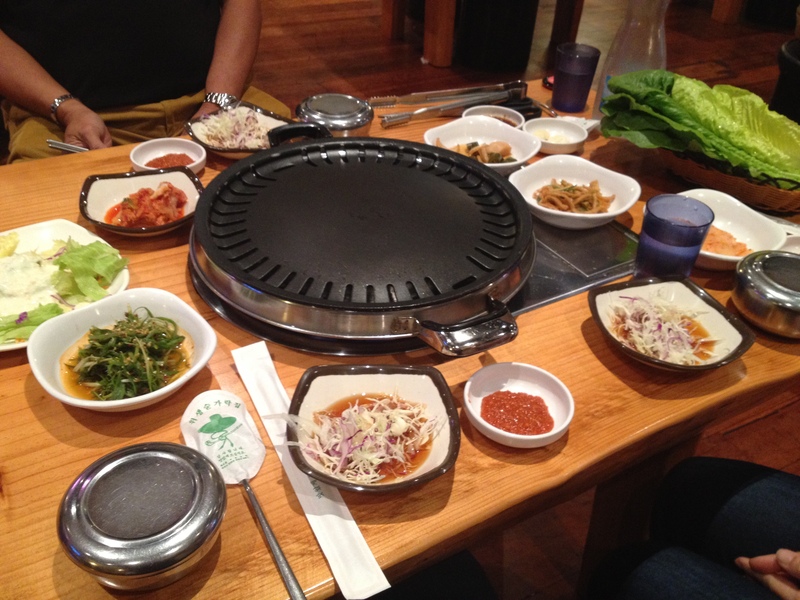 Not long after placing our orders, our Korean small dishes (Banchan) arrived to accompany our mains. When the small dishes arrive, you know that the mains will be coming soon. We ordered the Marinaded Wagyu Ribs ($35) and Pork Ribs ($18). 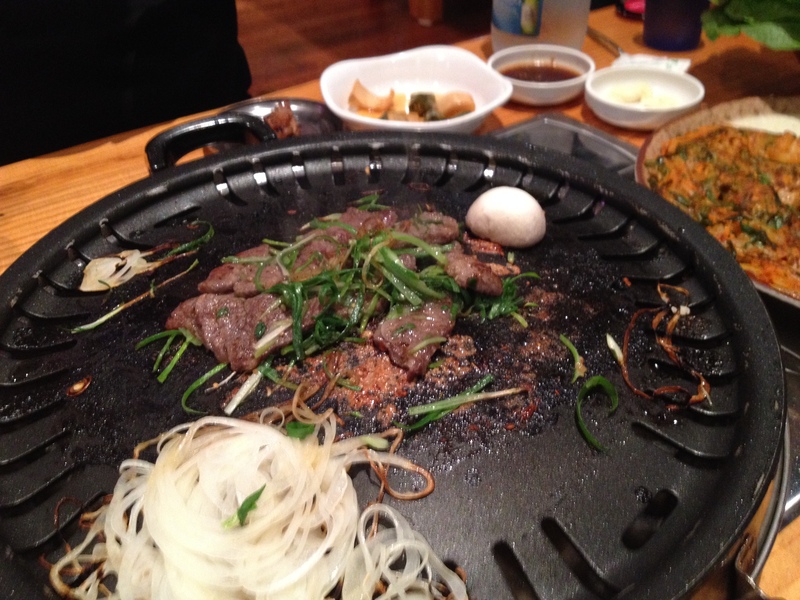 Both of the meat was fresh, succulent, tender and juicy. 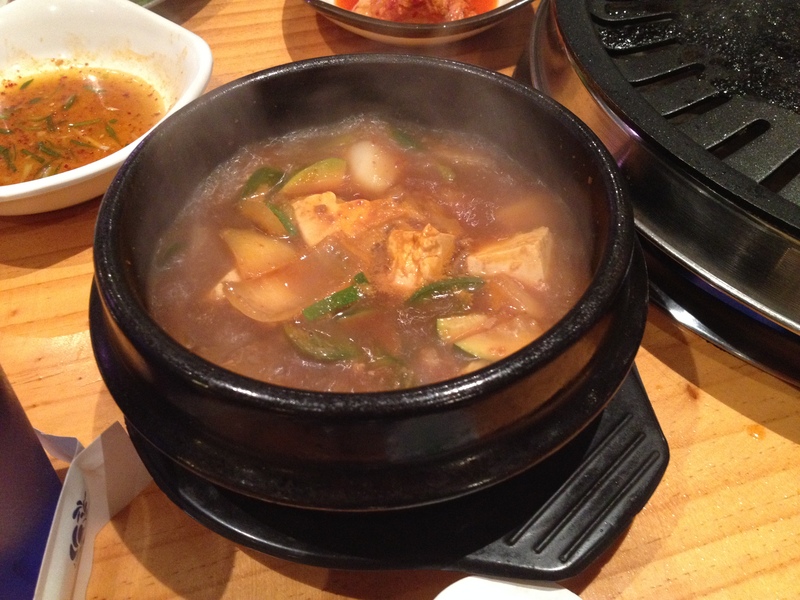 Other than just having Korean BBQ, we also ordered the Hot Pot with Miso and Vegetables ($10) and the Kimchi Pancake ($20). 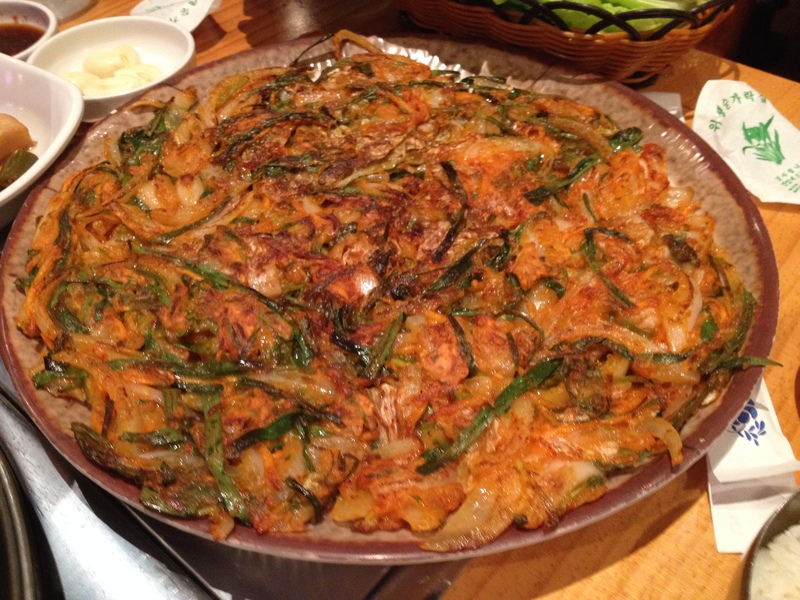 The Kimchi Pancake was generous in portion. Although it was a bit spicy, it was delicious! As the Hot Pot was generous in ingredients, it was full of flavour and the soup had a nice balance to it. 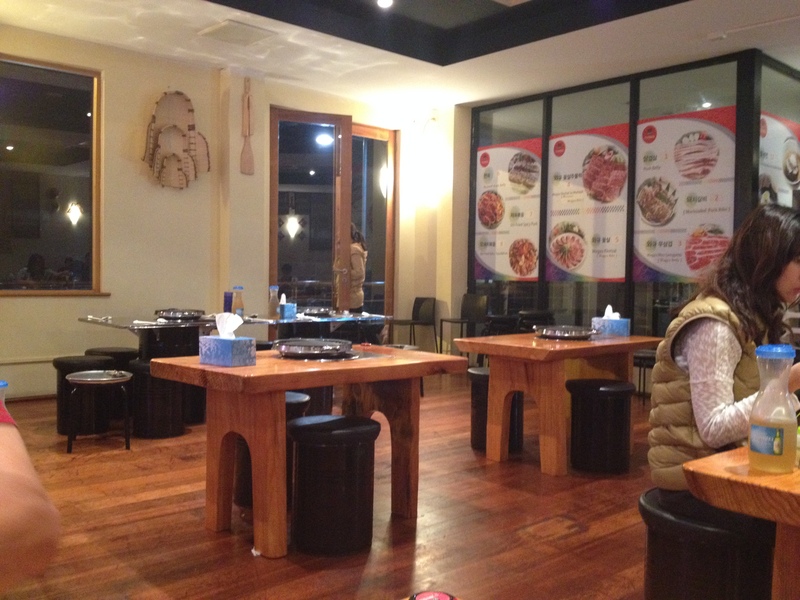 We will definitely be back to Sun BBQ in the future for their good service, yummy food and affordable prices. Sun BBQ makes a great place to catch up with friends too! Thanks for the tip with the seats. I’m headed there tonight because Namoo is shut.